Center Stage follows the syllabus of the Royal Academy of Dance (RAD). 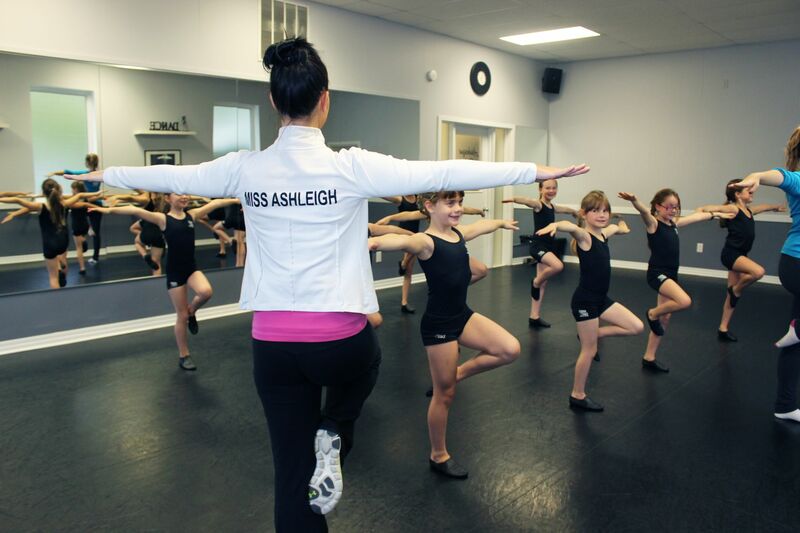 We recognize that ballet is the foundation of all dance and that articulation is paramount to success. Dancer must be 4 years old by Dec. 31st to participate in this program. 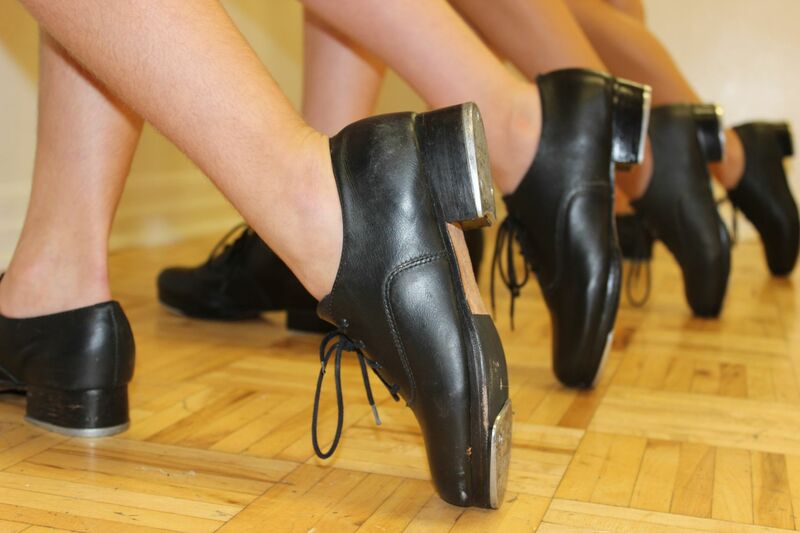 This form of dance emphasizes beats and rhythms by creating sounds with the feet. Tap has been made popular by such shows as Stomp, Riverdance and Tap Dogs to name a few. Dancer must be 4 years old by Dec. 31st to participate in this program. Jazz is required for ages 6 and up when enrolling in tap. This energetic dance form includes the latest steps from New York to L.A. Styles of Jazz vary from Lyrical to Funk, Latin, Contemporary and Broadway; so there is something for everyone. Dancer must be 4 years old by Dec. 31st to participate in this program. 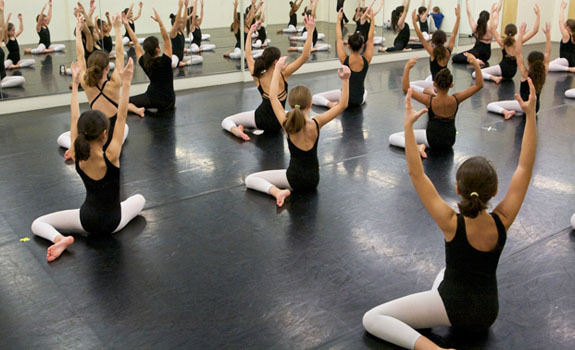 Lyrical dance is a style created by merging Ballet, Jazz and Contemporary dance techniques. Lyrical dancing is typically performed to music with lyrics to inspire movements to express strong emotions or to tell a story. Better known as “Street Dance”, is a combination of movements developed in the urban areas of America. Hip Hop bases it’s styles on geographic and environmental experiences, and has become one of the most popular forms of street dance that has crossed over to the mainstream of North American dance and around the globe. Dancers will be introduced to hip hop styles like b-boying, popping and locking to name a few. Dancer must be 8 years old by December 31st. to participate in this program. The acrobatic program combines gymnastic elements and dance technique. A unique form of dance that is art in motion, acrobatic presentation resembles the floor work of gymnastics. Its graceful technique focuses on flexibility, strength, and control. Dancer must be 4 years old by Dec. 31st to participate in this program. Jazz is required for ages 6 and up when enrolling in Acrobatics. 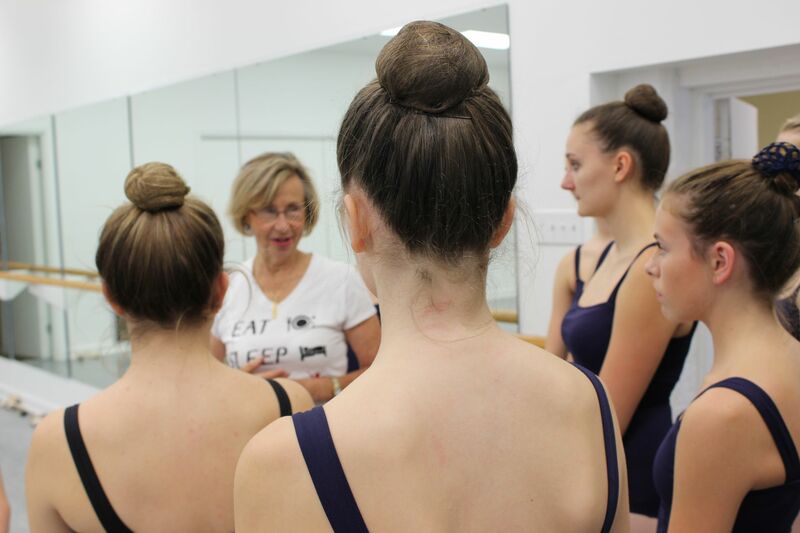 Our modern program teaches dancers those elements that differentiate it from ballet and jazz. Weight, contraction, release, suspension, fall, dynamics and timing are some elements that we incorporate into classes and repertoire. Dancer must be 10 years old by Dec. 31st to participate in this program. 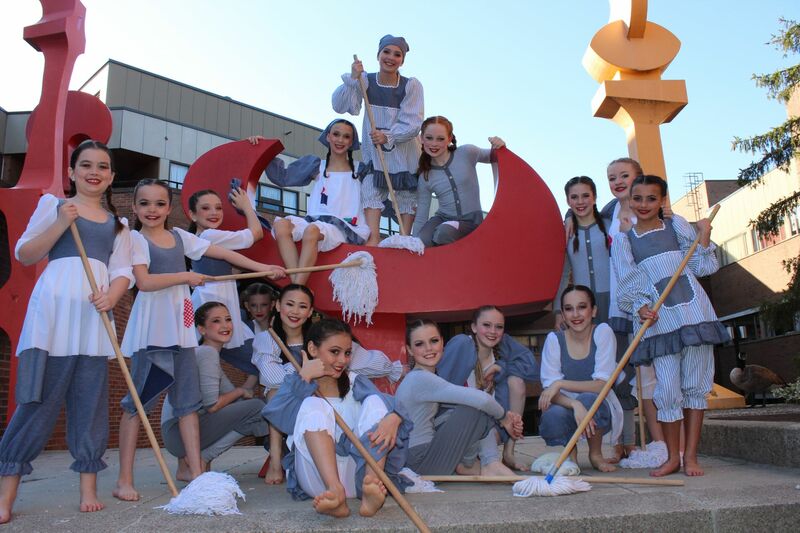 Our Musical Theatre program combines dance, dramatic arts, and singing techniques to emphasize the importance of a quality performance. Dancers explore the music, dance styles and themes from Broadway, theatre, television and film. 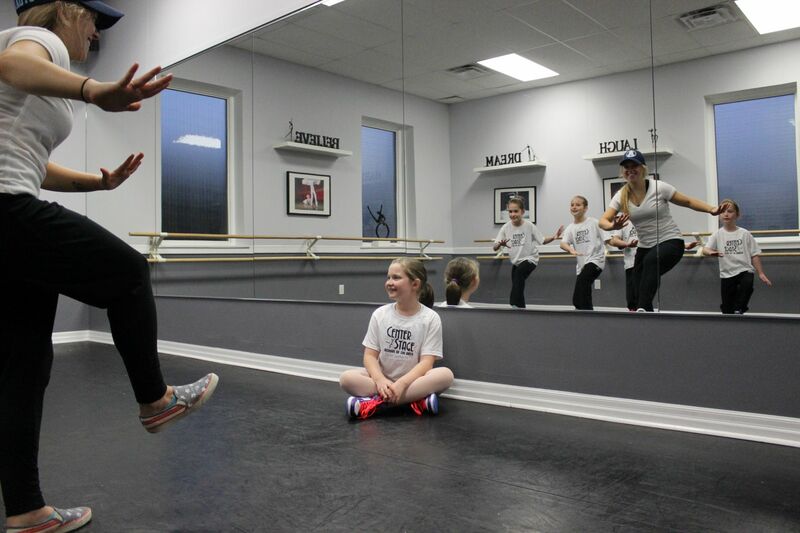 The program encourages creativity and allows dancers to create and perform original works. Dancer must be 10 years old by Dec. 31st to participate in this program. This is the act of creating movement spontaneously and freely. 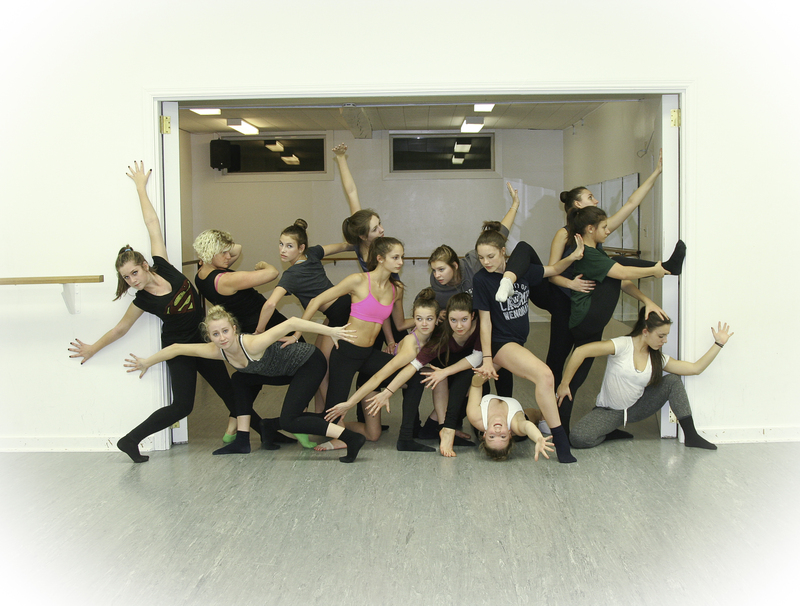 Dancers are trained by exploring levels, shapes and dynamics schema. Only offered to competitive dancers. 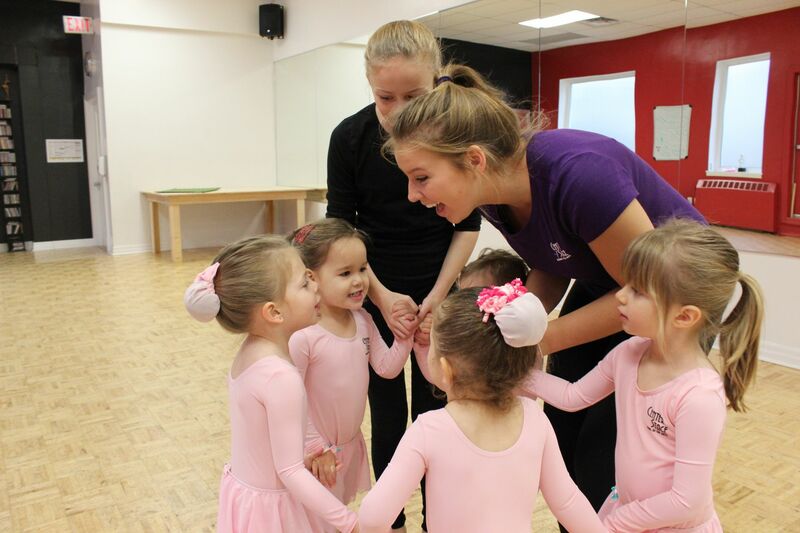 The Kinder program introduces 3 year old dancers to rhythm, body awareness, creative movement, numbers, colours, shapes and songs and helps develop their motor skills. Anyone who has ever watched a child jump for joy when a parent comes home knows intuitively that small children express their feelings with movement as well as words. For preschool-aged children; music, movement and dance can be natural tools for learning as well as a means for self expression. Dancer must be 3 years old by December 31st and potty trained to participate in this program.